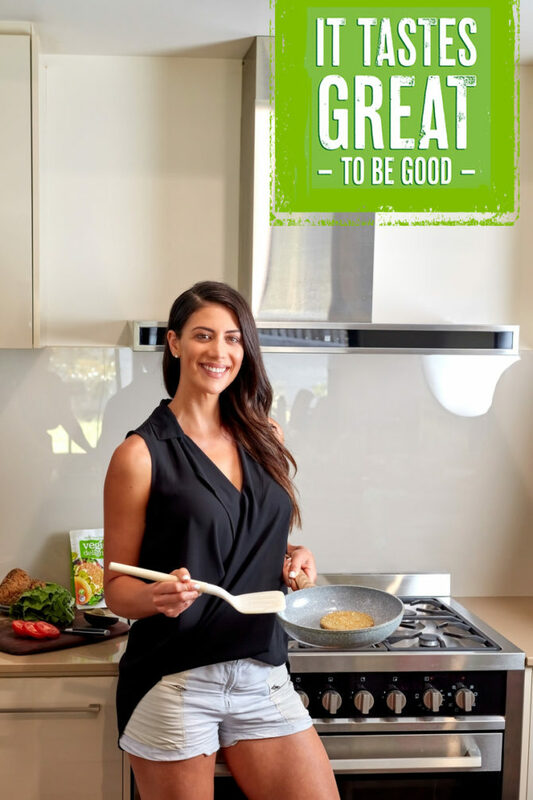 In an effort to encourage all Australians to incorporate more plant-based foods into their everyday diets we’re thrilled to have joined forces with Aussie swimming legend Stephanie Rice for our new It Tastes Great to be Good campaign which has launched recently. Here at Vegie Delights we’re on a mission to inspire Aussies to explore more healthy food options. Even regular meat eaters can enjoy benefits by adding easy plant-based meals to their repertoires. Studies show adopting a vegan diet has many nutritional and ethical benefits. A diet based on vegetables, legumes, beans, wholegrains, fruits, nuts and seeds can help reduce the risk of heart disease, type 2 diabetes, obesity and some cancers. Vegans and vegetarians also have lower rates of illness from various degenerative diseases. From an ethical point of view, veganism of course also has the rights of animal welfare at its core. Every year in Australia, 520-620 million animals are killed at abattoirs, mostly for meat and human consumption. Thirdly, the move towards plant-based foods is a timely one from a sustainability point of view. Recently more than 15,000 scientists in 184 countries co-signed the article: World Scientists’ Warning to Humanity: A Second Notice in journal BioScience. The scientists highlighted urgent actions that are needed to avoid irreversible harm to the Earth including promoting dietary shifts away from meat. Other concerns include the amount of carbon emissions and water used as a result of animal food production. So, we feel Stephanie is a perfect fit for our new campaign. She’s a great Australian icon, who espouses the values of our proudly Australian based company where we manufacture on the NSW Central Coast just north of Sydney. She’s just as passionate about living a vegan lifestyle as we are and radiates good health and vitality. Stephanie has created a range of exciting and delicious vegan recipes for our free Vegan Goodness e-cookbook – download the e-cookbook here, and check out the impressions from our Vegan Goodness e-Cookbook launch with Stephanie Rice in the video below.